Summary : Shan Cai, whose parents are far from wealthy, attends Ying De University, the private school established exclusively for rich students. 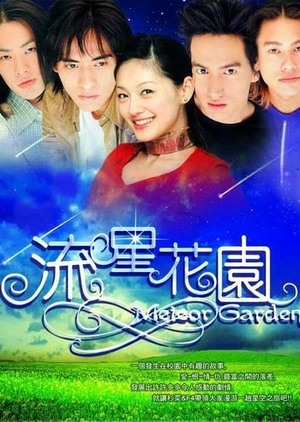 Besides being looked down by rich classmates, she has angered the leader of F4, Dao Ming Si. F4 comprises of Dao Ming Si, Hua Ze Lei, Xi Men, and Mei Zuo, who are the heirs to the four richest families. Their families are the founder of the school and nobody dares to cross them. Shan Cai isn’t afraid to stand up to DMS, an act that nobody has done before, and sparks Dao Ming Si’s interest in her. However, his constant torture of her has made her miserable while she falls in love with the gentle Hua Ze Lei, who comes to her rescue. Can Dao Ming Si win her love despite his cold and cruel exterior? What happens when his mother decides to use every trick there is to keep them apart? Can they adjust to each other’s differences due to their vastly incompatible social status? Note : I didn’t encode this drama. all credits goes to original uploader/encoder.